Frankincense is one of those oils: the more you use it, the more you love it & want to put with everything. I've spent several months playing around with different regions, species & extraction methods of frankincense essential oil. I'm a fan of the EO from Oman & Somalia, though I'm not sure the additional cost for Oman supply is actually worth any questionable additional therapeutic effects. CO2 extracted Frankincense Carteri (also spelled Carterii) is just full of awe and comes off as quite complete – soft yet full and potent. 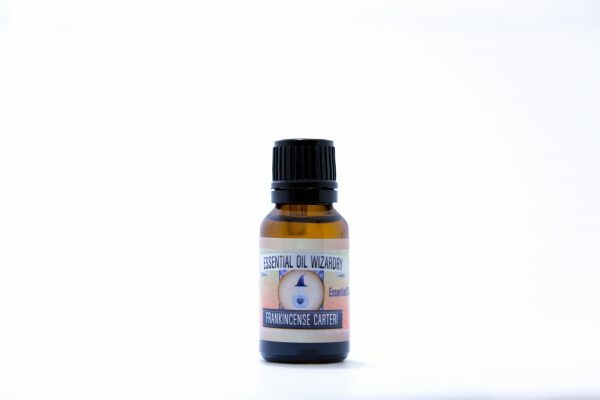 Steam distilled Frankincense Carterii is rather smooth and I've had batches which I call white gold (clear, transparent in color) where drops are so potent and can evaporate without leaving a trace. Frankincense oil has also been recognized for anti-aging and skin purifying properties and is the secret ingredient in many commercially available anti-aging skin care formulations. My intution tells me this essence is a potentiator, increasing the absorption levels at a cellular level in addition to speeding the healing process of disease or wounds. The former statement would be supported by the species of Boswellia which have a presence of nerolidol, based on Dr. Russo's publication on various terpenes of 2009. Frankincense oil is distilled (or extracted) with starting material of oleogum resin (olibanum) from the boswellia species; Stripes are cut into the Boswellia's trunk and the resin is harvested for distillation; this collection has been an important commodity in many cultures for at least the last 5000 years. A historic example of this truth, frankincense was a gift (along with myrrh & gold) from the wise men to Jesus & Mary. The fragrance may vary based on extraction method & species type ~ overall, notes of pine, soft woodiness and delicate sweetness can be found on the nose. Some batches almost have an undertone of citrus smells, likely due to the limonene. Olibanum offers a rich source of essential oil (5-10%) upon distillation ~ frankincense means “pure incense”. 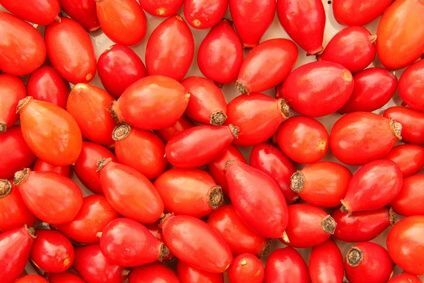 It’s been used for anti-arthritic, anti-inflammatory, and antiseptic properties and constituents known as boswellic acids have recently found to have potential as an anti-cancer agent (1). Boswellic acid has a high molecular weight and is unlikely to distill into the EO in any noticeable quantity due to it's large size & high boiling point; some other extraction methods (ie. CO2 extraction) may have noticeable quantity of boswellic acids. Boswellic acids have anti-inflammatory activity and are capable of quelling immune system hyperactivity via multiple mechanisms (3). Frankincense oil has also been shown to inhibit acetylcholinesterase suggesting potential therapeutic benefit in Alzheimer’s disease (1). My assumption based on mechanism of action would be associated with the high levels of α-pinene of this oil. Which Frankincense Extract is right for me? 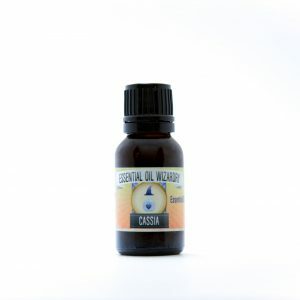 Essential Oil Wizardry offers four different species of Frankincense: Boswellia Carteri (CO2), Serrata (CO2), Boswellia Frereana, Boswellia Sacra. Here's Dr. Nick's OVERSIMPLIFIED reflections on choosing the best Frankincense for you! Carteri (CO2) – Our flagship, super affordable and amazing quality of Frankincense, CO2 Extracted providing a more full-spectrum experience of very clean, uplifting Frankincense. This is my go-to general use Frankincense extract and probably the most versatile AND common frankincense species people recognize on the essential oil market. 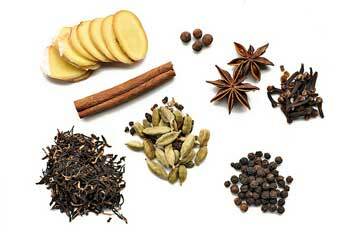 Fresh, vitalizing and combines super well for therapeutic & aromatic purposes. 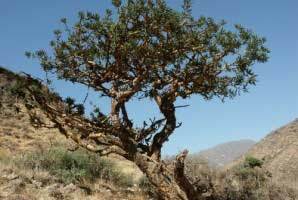 Serrata (CO2) – Frankincense Serrata has the most clinical research associated with frankincense's anti-tumor properties. Some people search for frankincense because they believe it will be an adjunctive for their cancer treatment. While we cannot suggest Frankincense will cure or treat any disease, if I was searching for Frankincense to use as an adjunct to treatment, this would be Boswellia species I would choose as it has the most research papers studying the mechanism and evaluating the effectiveness of Frankincense's (Boswellia serrata) anti-tumor properties. The scent is unique and ranges between soft earthy & sweet to slightly astringent and pickle-like ~ provides a unique ingredient for botanical perfumery! Frereana – Frankincense Frereana flourishes on a higher elevation of the Somalian mountains and contains a unique terpene composition: the higher pinene, thujene and cymene content deliver a medicinal extract with a strong aromatic turpentine note. For analgesic & anti-inflammatory properties, this is the superior option – the scent is much more medicinal and earthy/spice. Great to have in the personal medicine cabinet! Sacra – Royal Frankincense AKA Boswellia sacra produced by superior grade Frankincense tears of the Omani region – considered to produce the FINEST quality of Frankincense essential oil on the planet! This has a very special vibration to the extract and is my preference for prayer, ceremony and more energetic formulations (ie. Third Eye). 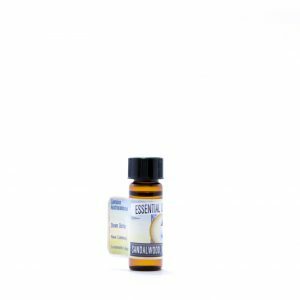 This is my personal favorite Frankincense oil that we carry – The standard market price for a premium quality Boswellia Sacra is typically ~$70-80 / 15 mL which we are able to generously offer for $40 / 15 mL. We are so grateful to have access to this precious resource! Skin care – Everyday body or face creams can be made with 1 drop per 5ml or teaspoon (6 drops per oz) of carrier lotion (~1%) – Frankincense is great for rashes, cuts, burns or scrapes – add to shampoos and soaps! 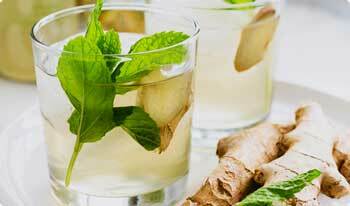 Massage oils – try adding into massage oils for aching joints or muscles along with other potent oils. Shower time – add 1 – 5 drops on a washcloth and rub onto your skin during your final rinse of a hot shower for a quick steam bath. Wait at least 15 seconds before reapplying water to frankin-hanced skin. Inhalation – Elevate the spirit and center the mind for meditative practices by placing 1 drop in an essential VAAAPP or by placing 1-2 drops on the palms of your hands, rubbing them together then inhaling with palms flat to your face. Hazards: Skin sensitization if oxidized. EO is flammable. Cautions: Old or oxidized oils theoretically should be avoided. Hussain H, Al-HYPERLINK “http://0-www.ncbi.nlm.nih.gov.library.touro.edu/pubmed?term=Al-Harrasi%20A%5BAuthor%5D&cauthor=true&cauthor_uid=23533463″HarrasiHYPERLINK “http://0-www.ncbi.nlm.nih.gov.library.touro.edu/pubmed?term=Al-Harrasi%20A%5BAuthor%5D&cauthor=true&cauthor_uid=23533463” A, Al-HYPERLINK “http://0-www.ncbi.nlm.nih.gov.library.touro.edu/pubmed?term=Al-Rawahi%20A%5BAuthor%5D&cauthor=true&cauthor_uid=23533463″RawahiHYPERLINK “http://0-www.ncbi.nlm.nih.gov.library.touro.edu/pubmed?term=Al-Rawahi%20A%5BAuthor%5D&cauthor=true&cauthor_uid=23533463” A, Hussain J. Chemistry and biology of essential oils of genus boswellia. EvidHYPERLINK “http://0-www.ncbi.nlm.nih.gov.library.touro.edu/pubmed/23533463” Based Complement HYPERLINK “http://0-www.ncbi.nlm.nih.gov.library.touro.edu/pubmed/23533463″AlternatHYPERLINK “http://0-www.ncbi.nlm.nih.gov.library.touro.edu/pubmed/23533463” Med. 2013;2013:140509. doi: 10.1155/2013/140509. Epub 2013 Mar 6. Ni X, Suhail MM, Yang Q, Cao A, Fung KM, Postier RG, Woolley C, Young G, Zhang J, Lin HK. Frankincense essential oil prepared from hydrodistillation of Boswellia sacra gum resins induces human pancreatic cancer cell death in cultures and in a xenograft murine model. BMC Complement HYPERLINK “http://0-www.ncbi.nlm.nih.gov.library.touro.edu/pubmed/23237355″AlternHYPERLINK “http://0-www.ncbi.nlm.nih.gov.library.touro.edu/pubmed/23237355” Med. 2012 Dec 13;12:253. doi: 10.1186/1472-6882-12-253. Siddiqui MZ. Boswellia serrata, a potential antiinflammatory agent: an overview. Indian J Pharm Sci. 2011 May;73(3):255-61. doi: 10.4103/0250-474X.93507. Tisserand, Robert, and Rodney Young. Essential Oil Safety. Second ed. Churchhill Livingstone, 2013. Print.